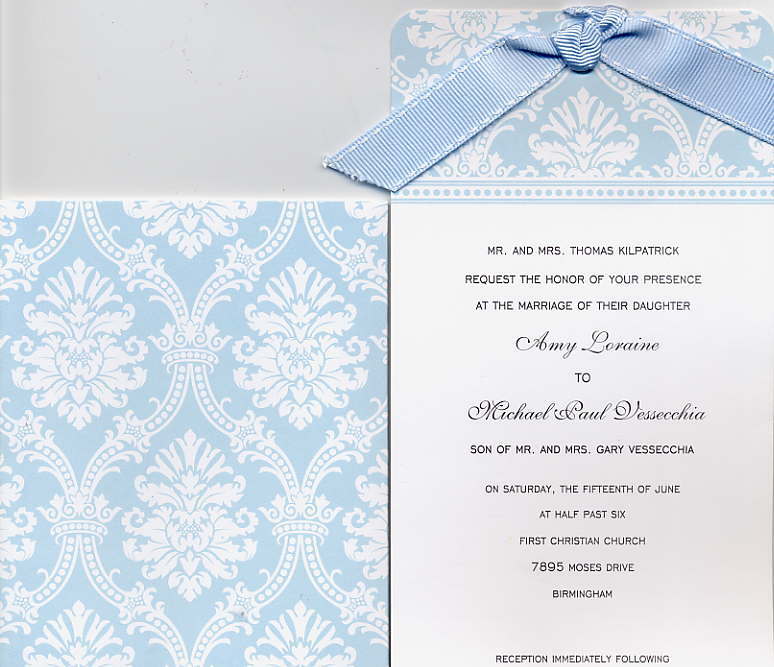 Elegant blue damask patterned card fits in a matching sleeve. Coordinating grosgrain ribbon ties at top and helps pull card up and out. 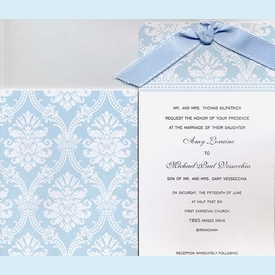 Rounded corners on printable card add a delicate touch. CLOSEOUT...only 7 sets left!